The recipe says to use a 1lb loaf tin but I don’t have one so used my 2lb tin which was a good thing as the cake mixture filled my 2lb loaf tin to the top! 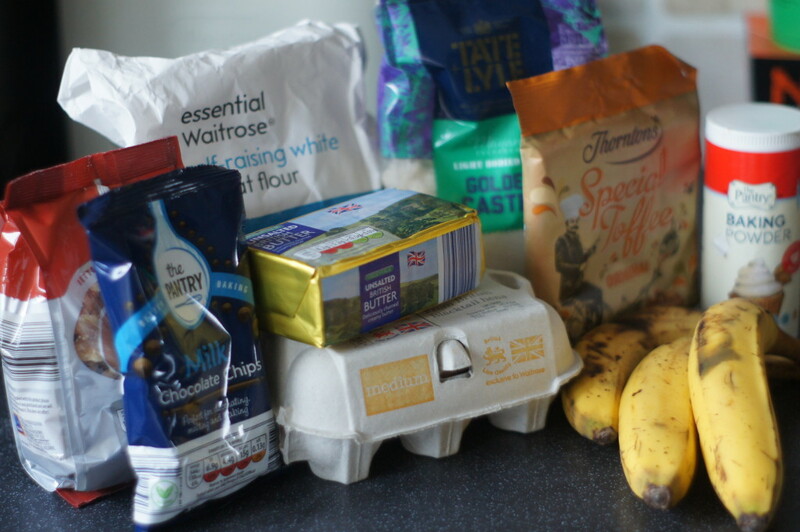 1) Preheat the oven to 180°C/160°C fan/350°F/Gas mark 4 and butter and line a 2lb loaf tin with greaseproof paper. 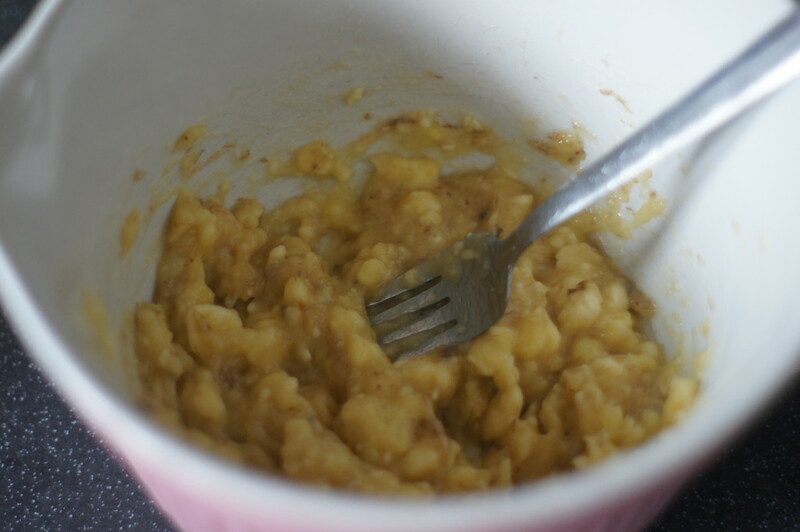 2) Mash the bananas in a bowl with a fork until squidgy. 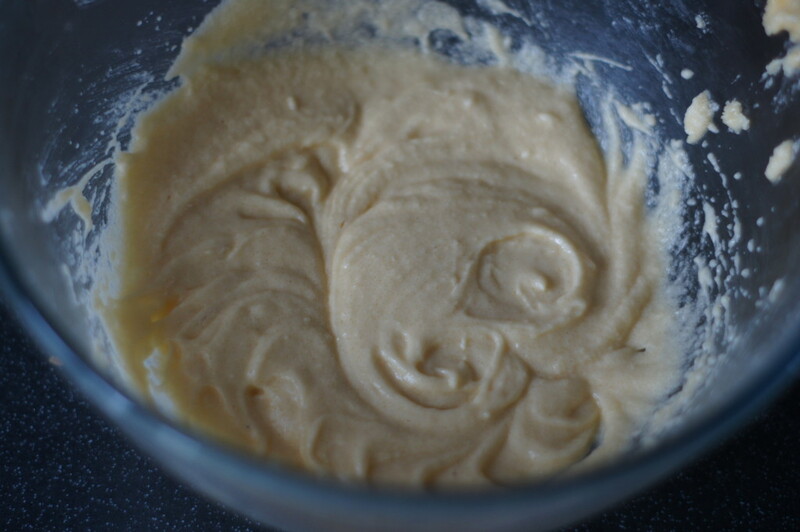 3) Meanwhile, in a separate bowl, cream the butter and caster sugar together, until pale and fluffy. Add the eggs and mix to combine. 4) Sift in the baking powder and flour and fold in gently with a spatula. 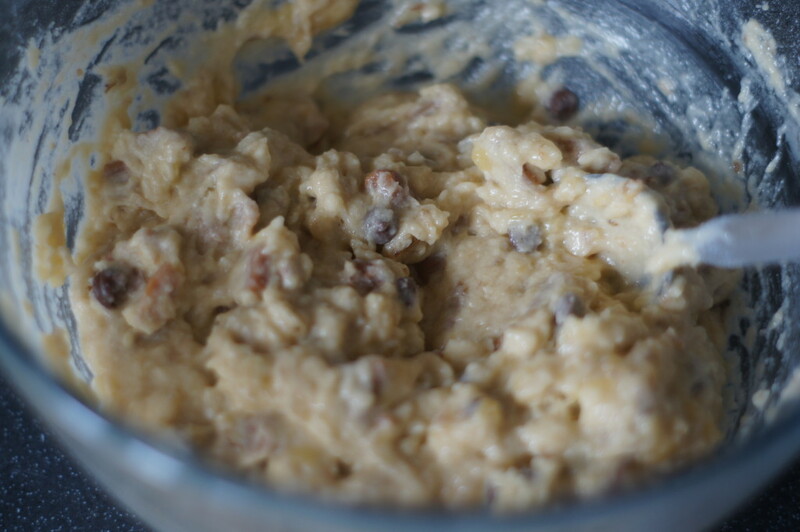 5) Finally, tip in the mashed bananas, chopped walnuts, chocolate chips and toffee chunks – and mix well until everything is coated in the cake mixture. 6) Pour the mixture into the prepared loaf tin and bake in the oven for 1 hour. After 35–40 minutes it tends to have coloured nicely but won’t be cooked through fully, so take it out of the oven, cover the top with foil and continue to bake until a skewer inserted into the middle of the cake comes out clean. Leave the cake to cool. 7) Meanwhile, make a coffee glaze by mixing the icing sugar and coffee together in a bowl. 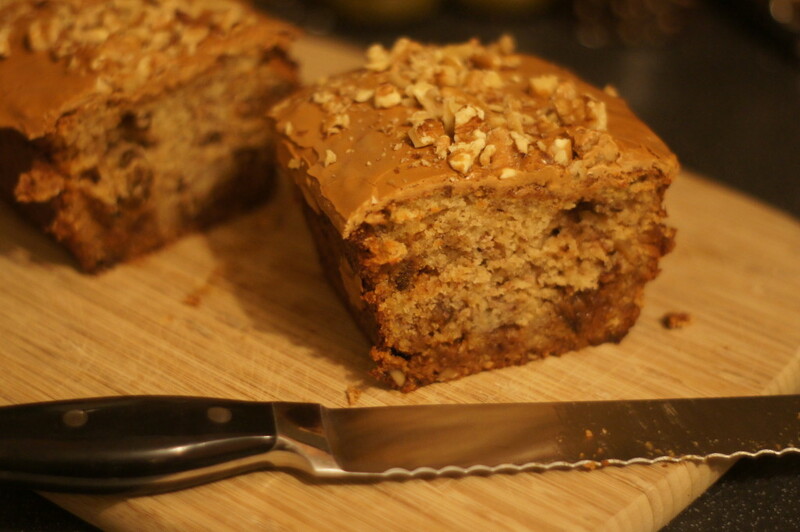 Add more coffee granules if you like a stronger coffee taste, then spread the glaze over the cake. Scatter a strip of bashed walnuts along the glaze, then allow to set before slicing and serving.